Every year I find a way to convince myself that the Eagles can find a 1st round talent in every round, then Andy Reid finds a way to find a 1st round talent in no rounds. I have all kinds of pipe dreams, but I would be more than happy to draft one great player, something to get me just a little more amped going into the season. After going through the Brandon Graham and Danny Watkins drafts I have to say I am starving for an interesting/impact/elite draftee. I’m a big believer in getting the most bang for your buck. 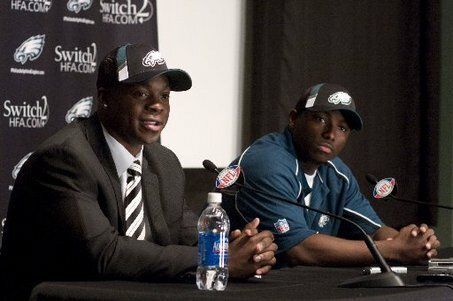 When it comes to the Eagles draft strategy I really want them to get three great players with their first three picks. Now you wouldn’t think that would be so difficult when you have three picks in the first two rounds, but when Andy Reid is picking players you can be assured that he is determined to waste those picks. He stock piles draft picks like candy. He gets as many as he can so he can draft as many players as possible, only to cut most of them before the season starts. There is no more ridiculous act in the history of the professional sports than trading back in the first round to stock pile low round picks. The Eagles don’t have many glaring needs, but that is an outsider’s perspective. 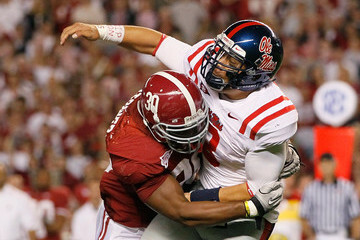 In a draft that is deep at defensive tackle, the stupidest thing you could do is draft a DT with your first pick. But I can almost assure you that is what the Eagles will do. 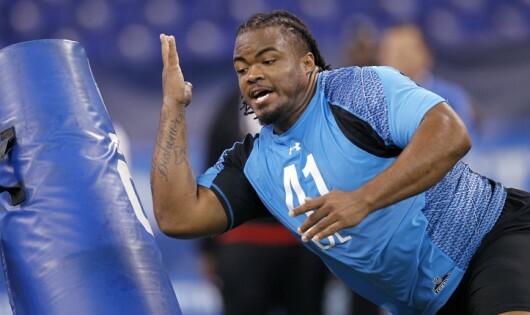 I hope it’s not DT Dontari Poe of Memphis, because even though he had a good combine, he had very little production in college. We can no longer afford to draft developmental players at any position, especially with high round picks. We need to be drafting studs. I just hate drafting purely rotational players with the first pick. 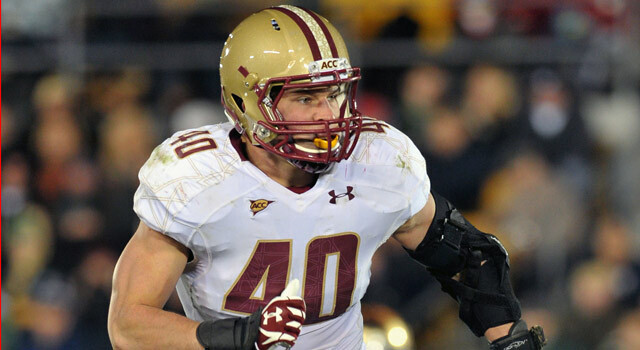 I really had my heart set on LB Luke Keuchly of Boston College, even after the trade for Demeco Ryans, he could be a nice fit at strong side LB. 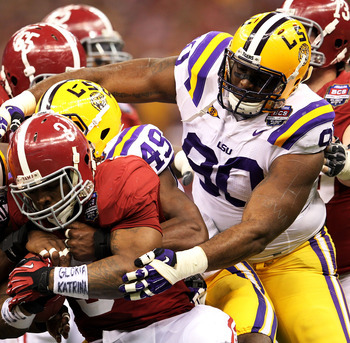 If they did draft him I would still love the pick, but I have recently turned my attention to LB Dont’a Hightower of Alabama. He reminds me of Demeco Ryans actually, if Ryans misses any time this year Hightower could fit in seamlessly. Keuchly is still a very solid tackler, but Hightower blows people up. If Andy Reid had to pick between them, he would pick Keuchly, because he is closer to the tender educated glasses wearing school boy Reid loves to fill his roster with. Keuchly is still very very good, but I don’t know that he is as physical as Hightower. There are at least 5 very promising LBs in this draft, if the Eagles don’t get one of them I will be beyond disappointed. I can tell you how desperate I am for more upgrades at the LB position. I would love it if they spent two of the first three picks on LB. Let’s fix this thing now, after a year of insisting that undersized nice guys could be effective LBs in this wide-9 system we are now further from a Super Bowl then we were in 2010 without the wide-9. 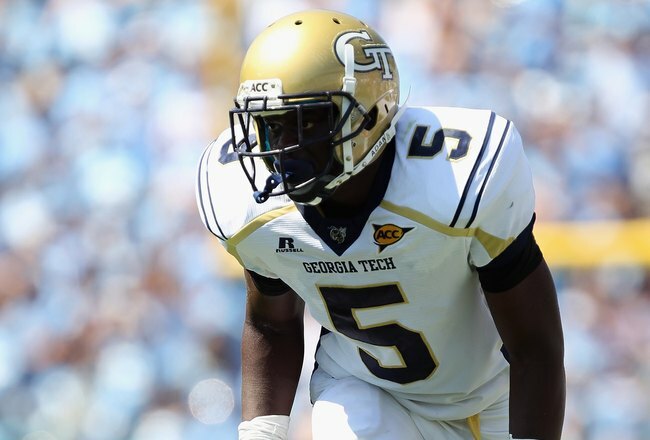 I really feel this draft should be most defensive but, I do like WR Stephen Hill of Georgie Tech. He’s not quite Megatron Jr. But he’s a step in the right redzone target direction. His hands are unbelievable. If they were to get him in round one it would be hard not to do backflips, even though we would be passing on great defensive talent. Cornerback may also be an area of interest, especially if Asante Samuel is traded on draft day, which he will be. 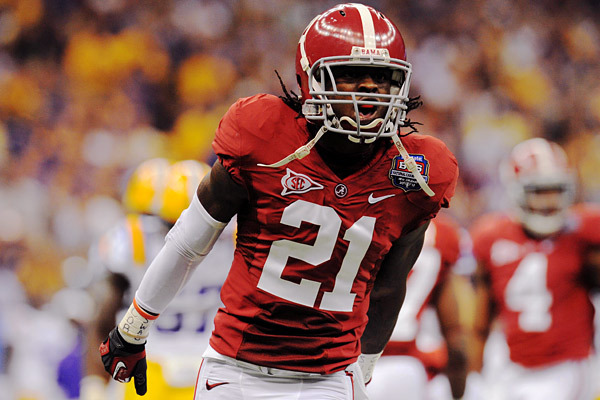 Imagine an Asante Samuel who can tackle, return punts and possibly return kicks, this player’s name is Janoris Jenkins of Florida/North Alabama. He has your traditional red flag blah blah blah, it’s nothing compared to Vontaze Burfict’s level of social ineptitude so he’s a glowing example of a potential superstar. It is worth noting that during his time at Florida he held his own while covering receivers such as AJ Green and Julio Jones. Sounds like a damn good replacement to me. But the Eagles would be beyond lucky if he were still available by their second round pick. Cornerback Alfonzo Dennard of Nebraska is a solid option at cornerback, not nearly as elite as Claiborne, Kirkpatrick, or Jenkins, but still has lockdown possibilities. I would say you still have to draft LB in the first round. It all depends on which order you draft in. Because there is a deep DT class, pick something else first, hopefully LB, followed by DT and so on. You have to ask yourself which is a better option, drafting one great player or three very very good players taken in the right order to assure you get all three. This seems more likely to achieve and is still a suitable result. You can really only be assured one good pick, and 15 is a great spot to find something. Here is a list of the Eagles total draft picks. The worst thing Reid could do is attempt to have new drafts following the Maclin, McCoy draft. Now nothing is good enough after they set that draft precedent. 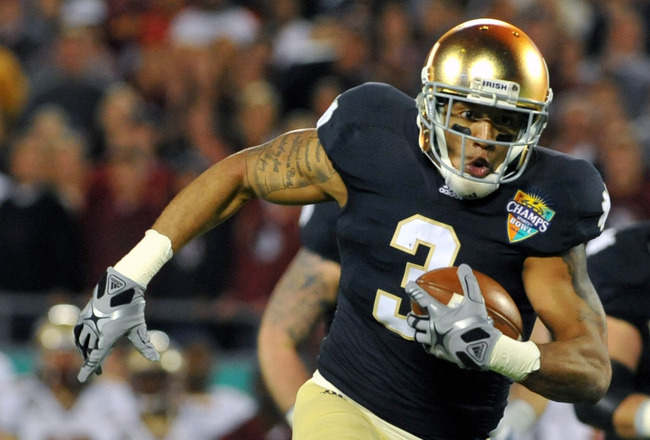 Give me one GREAT player this draft and I’ll give Reid another pass. 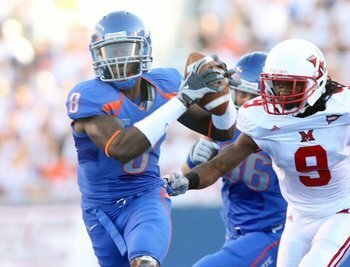 Who do you think the Eagles should draft? Would you rather have one great player or three very very good players?